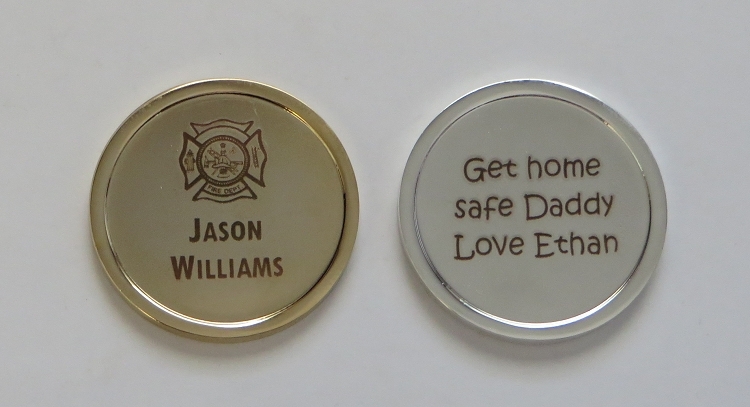 These coins make a great "lucky charm", award, or commemorative gift. You decide what to have engraved on each side. We will put a Maltese Cross on the front with up to 3 lines of text. 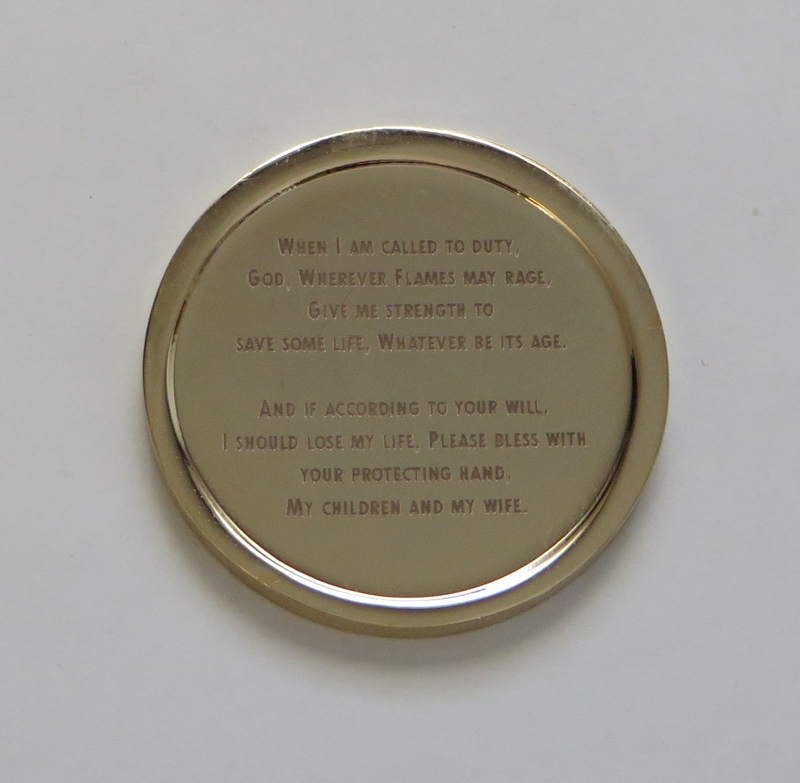 The back of the coin can have an abridged Firefighter's Prayer, or your own message. ABOUT THE COIN FINISHES: The "shiny" finish is high reflective, like a mirror. The "matte" finish has no reflective qualities. The "brush" and "antique" finishes are dull, slightly reflective finishes. ABOUT THE COINS: The coins are 39mm by 3mm (about 1.5 inches by 1/8 inch) and weigh about 1 ounce. They are plated metal alloy with a slight curvature to distinguish the front from the back. Edges are raised and smooth. 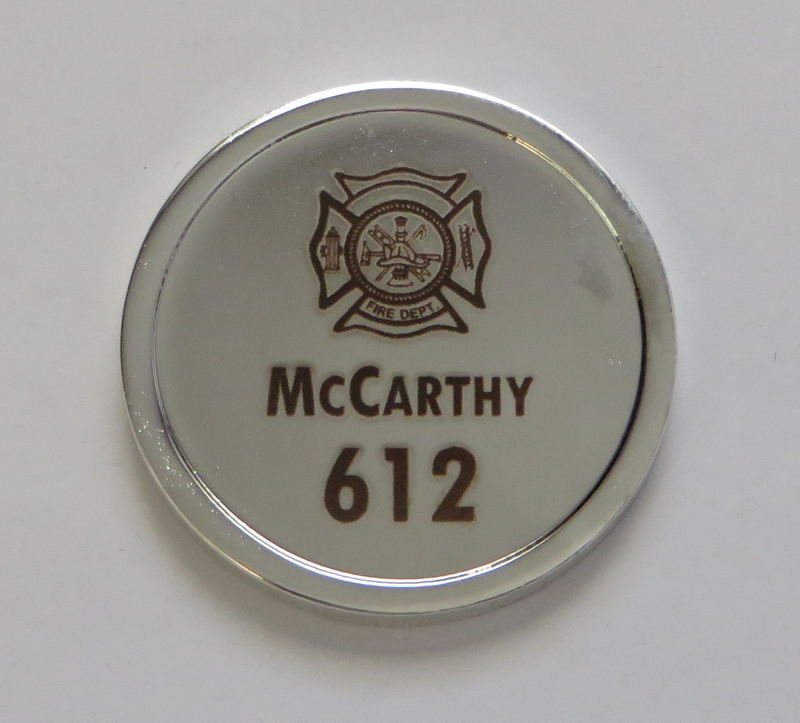 ABOUT THE ENGRAVING: Our state-of-the-art laser will etch your design a fraction-of-an-inch into the metal. The design is flat on the surface, not raised. The mark will be a rich brown color wherever your design is black. The engraving is permanent. Copyright LazrArt. All Rights Reserved. eCommerce Software by 3dcart.